FOUR members of a farmers group in Misamis Oriental, tagged by the police as leaders of New Peoples Army (NPA) were arrested for illegal possession of guns and explosives in a raid in Villanueva town, Wednesday evening, January 30, barely two days after state security forces arrested two leader activists fighting for peasants and lumad rights. Combined elements of the military and Criminal Investigation and Detection Group (CIDG) in Misamis Oriental arrested cousins Gerry, 48, and Gerald Basahon, 43; and sisters Marivic, 22, and Mylene Coleta, 19, by virtue of a search warrant for illegal possession of firearms and explosives. Marivic's one-year old child and Mylene's two -year old relative including a 16-year old girl were also taken by the arresting team but were reportedly turned over to the social welfare office. 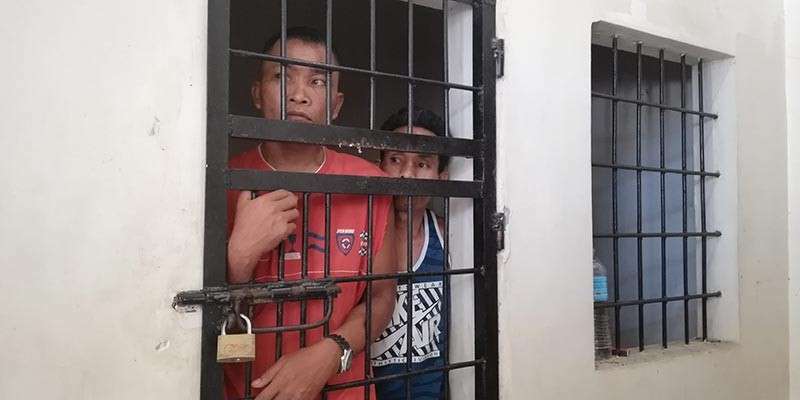 The four farmers were arrested inside the two-story office of Misamis Oriental Farmers Association (Mofa), a provincial chapter of KMP in the province. Authorities claimed they recovered two hand fragmentation grenade, a caliber 45 pistol and ammunition, and subversive documents. They also seized their cellphones and laptop. However, the four maintained that they are neither leaders nor members of the NPA, but they are farmers who till their lands to make a living. They also asserted that those evidences were "planted." 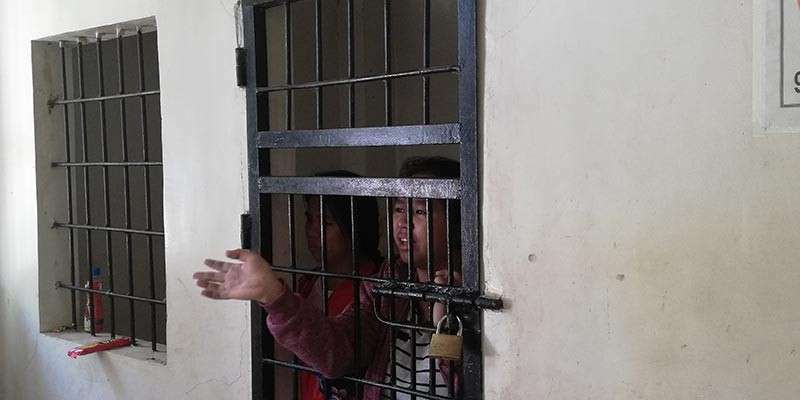 The younger Coleta said their rights were violated when government soldiers barged into their office without showing them the search warrant. She said the military forces ransacked the office before the actual search was made by the police. Coleta also said they heard gunshots before the military entered the office and what was more outrageous, she said, was how the soldiers pointed their guns to the children, to supposedly stop all of them from protesting. "Giingnan ko nga wag kang magsalita, wala kang karapatan kay sige ko ingon nga dili mani mao, dili man dapat kamo ang mag search kay mga sundalo man mo or dapat inyo mi ipakita sa search warrant," Coleta said. She said she saw the military tied the hands of Gerry while the rest of them were told to face backward. "Katong pagpatalikod sa amo mao na sigurong tong time nga nag 'planting' sila sa mga granada ug pusil kay natingala na lang mi sa ilang mga nangakuha," Coleta said. 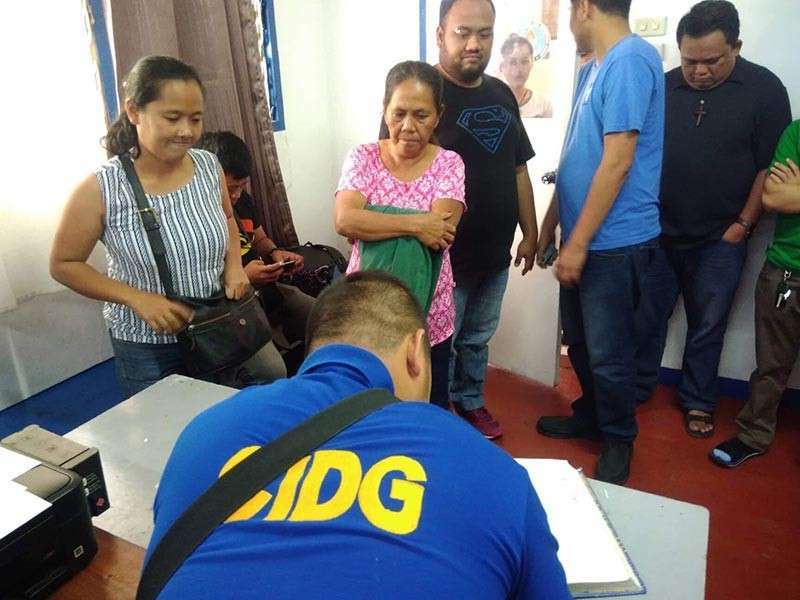 "Paggawas namo mao na dayon pag abot sa mga CIDG ug nagtawag og barangay officials pero humana og bungkag ang mga military sa among mga gamit," she added. 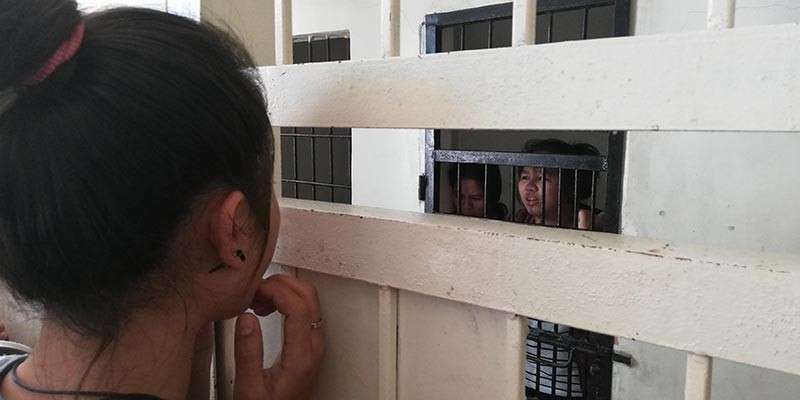 Assisted by the human rights group Karapatan and other religious organizations, the family of the arrested Mofa members sought the help of the Commission on Human Rights (CHR) before they head to the jail facility of the CIDG to check their situation. Authorities will file illegal possession of firearms and explosives, Omnibus Comelec gunban and human security act charges against the four Mofa members. In a statement, the KMP condemns the non-stop crackdown and attacks against farmers and indigenous people. "The PNP and AFP are working overtime to carry out incessant crackdown and attacks against progressive and democratic organizations," KMP-secretary general Antonio Flores said. "The full force of Marial Law and Oplan Kapayapaan severely violates the rights of the people asserting for the legitimate demands. We are calling on all sectors to remain vigilant against these attacks," he added. Karapatan-Northern Mindanao also demand the immediate release of the detained farmers and subsequent dismissal of charges against them. "This outrageous violation of human rights and basic arrest procedure screams of foul play and impunity. This is the trademark of the Duterte regime and the Marial Law extension in Mindanao," Karapatan spokesperson Father Allan Khen Apus said. "We also demand the respect of human rights and end the attacks against human rights defenders," he added.